Tomoko bit into the pork bun the others brought over for her as the group sat around the kotatsu in the living room. 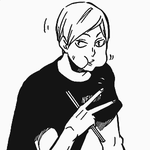 "Be careful not to eat too quickly, Hime," Ryo chided," I might let this one go but just be careful." "Sa. About that attack last night..." Aarin said. Tomoko swallowed and looked at the five. "Ryo-San detected a disturbance last night within the shopping district. He went to go check and found a dead body in an alley much like the other victims... He had no choice but to leave it since he might disturb the evidence the police needed when found." "Currently the victim is reported missing as the police is looking for her. No one saw who it was that attacked but we do know that she let her guard down to let the attacker trick her into falling into the spell." "It would explain that weird feeling I had last night..." Reni murmured. "So what happened to her as of now?" “Hime, swallow before speaking,” Aarin chided, knowing the girl doesn’t usually act like that. “So you want us to just sit around and let him take more lives? !” Momoka questioned as she slammed her hands onto the table. “Well we can’t just let more people die, Hime! We have to try!” Momoka was about to leave but Tomoko ran up to her and took hold of her arm. Ryo’s eyes glowed as fire erupted from his mouth, knocking away the Unknowns that were advancing. Sheru created a hammer and hit it against the ground, causing an earthquake. Minami’s eyes glowed as vines appeared from the cracks and restrained the Unknowns. “There’s too many!” Kimiko shouted as she engulfed a few more in flames. The group backed up the stairs as they saw more Unknowns appearing. Ran raised her sword as lightning struck down against the tower, causing the stairs to crumble so the Unknowns on the ground would become trapped. “Hayaku!” she ordered. Aira took hold of Tomoko’s arm before leading her up the stairs with Ryo following next to them. “If we have enough time, we can get through the portal,” the dragon said before swinging his tail to knock away the flying Unknowns. Aira’s eyes glowed as she raised her hand, releasing an energy beam at a door that opened on contact. The group rushed in and Sheru locked the door, covering it with rocks to secure it. She was knocked back as something rammed into it from the other side. “Da me da… There’s too many people out there…” she muttered. “We need someone to close the portal so they won’t follow you,” Ran said,” But it requires all five of us combined to seal it off. The Dark Syndicate will realize you don’t exist in this time anymore and will wait until you appear. That’s why you have to go look for us.” Bright light surrounded the five as their garb turned into knight armor. They held out their pendants. Kimiko gently smiled and rested her hands on the girl’s shoulders. “You’ll see us again.” She gently pushed the girl before Tomoko fell into the portal. The others brought out their swords as they started to glow. With a single stroke, the five cut through the door, causing it to glow before disappearing. The door soon went ablaze as Unknowns appeared. Ryo’s eyes glowed. “Early at this time?” he muttered. The others looked at him. “We will…” Aarin gently petted the girl’s head. The girls ran to the scene to find some icicles as well as bodies frozen on the ground. “Uso… Ice Magic?” Shiorin muttered. She gently kicked part of the ice to find it solid. Shiorin’s eyes glowed as she felt the ground shaking. “Get off the ground!” she warned. Momoka’s wings sprung out as she took hold of Reni before flying up. A disc of pink energy appeared at Aarin’s feet as Kanako jumped on before they flew up into the air. Shiorin ate a capsule as a grappling hook appeared in her hands. She shot it to the top of a building before being pulled up. The five landed on the ground once the wave disappeared before finding a figure on the middle of the street about a block away from them. They noticed she seemed to have short midnight blue hair as she wore a sleeveless leather shirt with a navy tube top underneath since there were horizontal slits on the back of the leather shirt. With it was matching leather shorts and black boots with blue shoelaces. What shocked them were the chains that hanged from the belt loops and the straps of her leather shirt. The girl smirked as she faced the warriors. MomoClo wa Mahou Shoujo da! Chapter 7I OWN NOTHING! ONLY 2 OC CHARACTERS! THAT'S IT! THAT'S ALL I OWN!